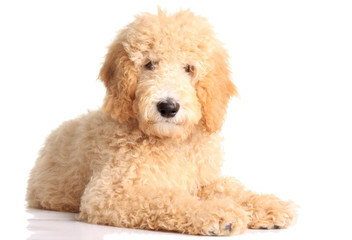 The Goldendoodle is the result of Poodle to Golden Retriever breedings. 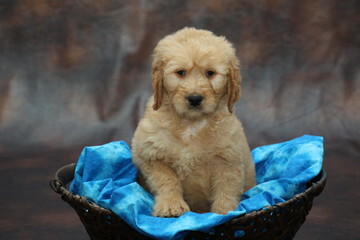 There are also multigen varieties that result from crosses between Goldendoodles. 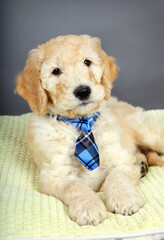 Goldendoodles do not shed or shed lightly, but require regular grooming and clipping. 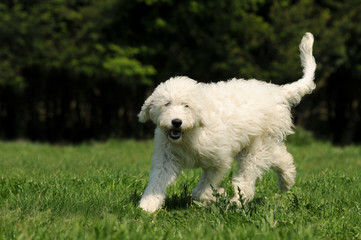 They are wonderful family companions, and generally get along well with children and do well with other dogs and family pets. They are not watchdogs-they will most likely not bark when someone knocks on the door. 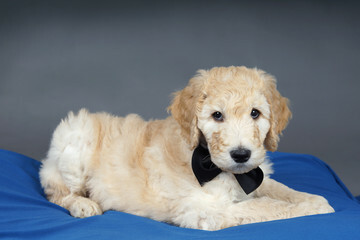 Goldendoodles are very social dogs who should not live away from their families. 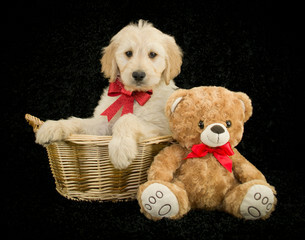 They are not suited to living in a kennel or outside; they want to be in the house. 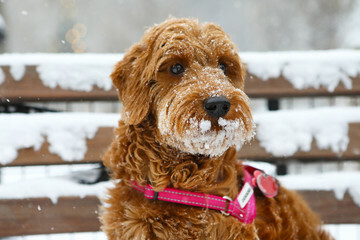 These dogs can suffer from separation anxiety if left alone for long periods at a time. 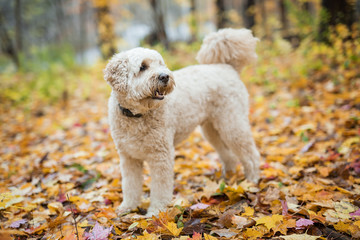 Goldendoodles may be well-tolerated by people with moderate allergies. 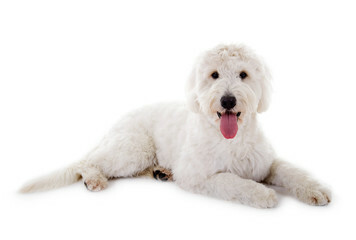 Goldendoodles have an average energy level. They may not be well suited for apartment living and do best in houses with open yards. They require 20 to 30 minutes of daily excercise.